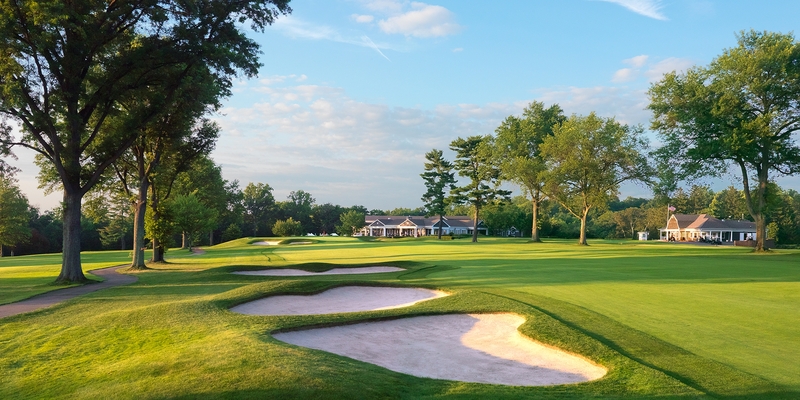 Green Brook Country Club will welcome the New Jersey Senior Open for the second time since 2000 Monday. Three of New Jersey’s most renowned professionals have had a stranglehold on the NJPGA/NJSGA Senior Open over the past seven years. Two of the three have played on the PGA Tour, the other on the Champions Tour. Bill Britton of Trump National-Colts Neck won the event in 2011, ’12 and 13, Frank Esposito of Forsgate in 2014 and ’17, and Jim McGovern in 2015 and ’16. During his 15 years on the Tour, Britton won once – the 1989 Centel Classic - and had 23 top-10 finishes. His best finishes in majors came in 1990: T-7 at The Masters and fourth in the PGA Championship. Esposito is a two-time State Open champion, winning in 2013 and 1999 and has been named New Jersey PGA Player of the Year. In 2013, he won the PGA Section Championship and the New Jersey PGA Senior Championship. He was also New Jersey PGA Player of the Year in 2010. He played full-time on the Champions tour in 2015 and won the Senior PGA Professional Championship in 2017 and ’14. McGovern was a member of the PGA Tour from 1991–1998. His career year was 1993 when he won the Shell Houston Open, had two other top-10 finishes, earned $587,495 and finished 27th on the money list. His best finish in a major was T5 at the 1994 Masters Tournament. Will the 2018 New Jersey Senior Open come down to one of these three, or will someone else break through for the first time since 2010 when amateurs Jon Tingley of Stanton Ridge and Jay Blumenfeld of Mountain Ridge finished 1-2. Esposito (72-70) and Baker (73-69) finished tied at two-under-par 142, with Mark McCormick of Suburban one stroke back at 71-72-143. Bill Charpek of Navesink was low amateur at 73-74-147. Jim McGovern of White Beeches had won the event in a playoff the past two years. Esposto won in 2014 at Trump National in Colts Neck.